Pooja Bedi's daughter Aalia Furniturewalla, who is all set to make her Bollywood debut soon, was papped outside a popular salon in the city. She looked stunning in black tights paired with pink crop top and multi coloured sneakers. RECOMMENDED READ: Taimur Ali Khan or Mouni Roy: Who do you think pulled off the blue outfit better? 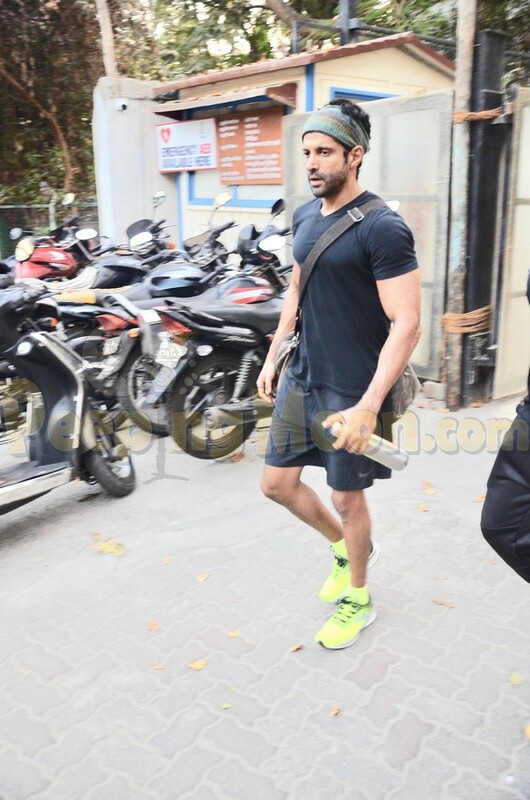 Farhan Akhtar was spotted by our shutterbugs as he exited a popular club. Sunny Leone promoted the season finale of her show Karenjit Kaur. Malaika Arora visited a clinic and posed for the paparazzi after it.